Durable pockets feature two strips of magnetic backing for use on metal surfaces. 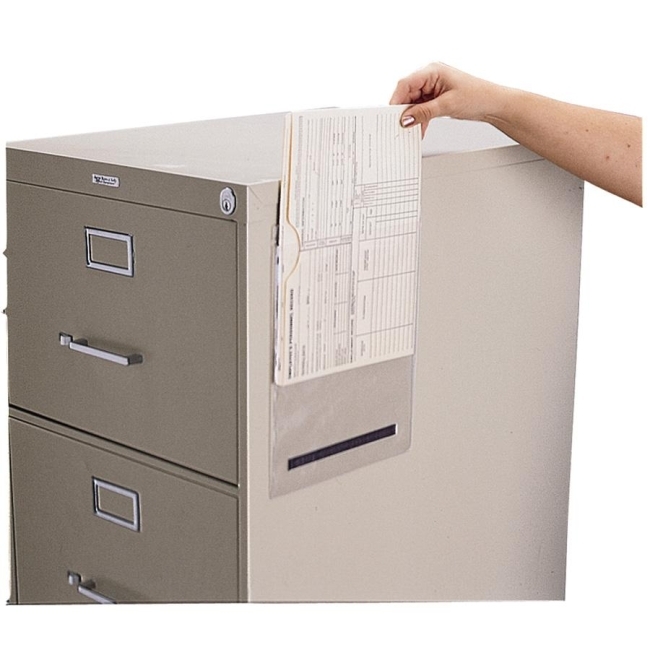 Ideal for job tickets, schedules, price lists and other paperwork for display in factory, warehouse or office. Made of .008 gauge clear vinyl. Heat-sealed edges on three sides. Extended back panel for easy insertion or removal of contents. Display vertically or horizontally.